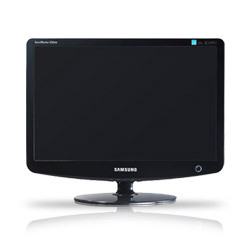 Brian has spent a good deal of time looking up monitors, comparing prices and shopping for store returns. He wanted to get me a flat screen monitor so I can utilize my desk space better. Just yesterday we found a good deal and with the help of some gift cards and money given to us for Christmas, we came home with the above monitor. Brian set it all up but because it’s a wide screen and my laptop doesn’t have settings for that, everything looked stretched and distorted. Brian spent all evening messing with settings and downloading drivers but nothing was working. We half heartedly discussed a few options and went to bed discouraged. Weeping and sorrow may endure for the night…. Brian got up to study this morning, but the unfinished problem wouldn’t leave him alone. A little more looking around and he found what made it work! He got everything fixed and got me up to come and look at it! ….But joy comes in the morning. I’ve been enjoying it all day as I go about my normal computer tasks. Everything looks so nice and neat now – cables and cords stowed away, a USB hub peeking out from under the screen, keyboard tray that slides out of view and the monitor tucked away in the corner. Plenty of room for scrapbooking, or sewing without having to move my whole computer work station! Brian is one great guy!